Clint Eastwood’s past decade as a director has been a hit or miss. Along with several Oscar winners and nominations, Eastwood has released several films that seem to hit a growing inconsistent nature. Hereafter continues this inconsistent production style while exploring many of Eastwood’s themes of death and end of life. As a victim of a tsunami, Marie Lelay (Cécile de France) is revived after drowning and experiencing a brief encounter with an afterlife. She has trouble returning to a normalcy within her life as television journalist in France. In London, pre-teen English twin boys Marcus and Jason (Frankie and George McLaren) struggle with their mother’s drug-addiction. While Jason is sent to pick up her prescription, Marcus looks up the effects and use of the medicine. Jason is hit by a vehicle after escaping bullies who try to take the prescription. A depressed Marcus is sent to live in a foster home where he constantly constantly looks for answers in local faux-psychics. George Lonnegan (Matt Damon) is a former psychic reader who has traded the ideals of exploiting his talent to the life of a factory worker. He is laid off and finds solace in a cooking class where a romance is sparked by classmate and cooking partner Melanie (Bryce Dallas Howard). Hereafter explores the idea that there is one particular afterlife and that there are a few legitimate psychics who can speak with the deceased. The three protagonists find themselves dealing with several aspects of this romanticized idea of an afterlife from the perspectives of different classes and nationalities. 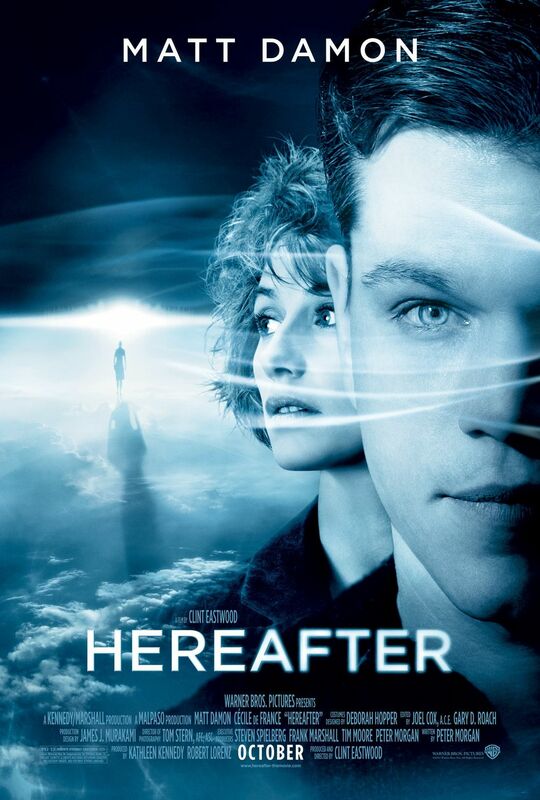 Hereafter is another film where Eastwood explores themes of death. Where Million Dollar Baby explored euthanasia, this film explores the idea of an afterlife, albeit with a magical realism spin. While the film hinted directly to these three plots to converge at one point, London, the motivations behind George’s trip to the city is too convenient, and the viewer would have to suspend disbelief. Eastwood does shine primarily in the scenes involving Matt Damon and Bryce Dallas Howard. Albeit a very convenient meeting between the two quickly turns to one of the more momentous sub-plots within the film, however it is never fully fleshed out. Most of the casting in this film is adequate, with the best casting choices to be that of Jay Mohr. His few on-screen moments allow his manipulative nature to be one of the most luring catalysts, who provokes George to reconsider the good times as a profitable psychic. One should always be open to unconventional narrative plot twists, but two particular plot points offer such jarring accounts and are such odd traits for a film, particularly by a veteran director and storyteller. These two elements of the film have a negative impact on the story, where one particular plot line is never able to fully recover. The digital effects in this film are appalling. The water during the tsunami, and even the over-used cliche of a floating teddy bear weakens the high-concept that this film is trying to reach. The film was projected digitally, and the use of deep-focus is not supported by the blocking. Showing everything in the background does not make for a great shot. The crispness of digital cinema is only effective when the director makes use of that space. Showing everything prevents the audience’s eyes from properly being sutured into the narrative. The film offers several disappointing plot points that could have been much better overall with minimal addition and subtraction to the script. 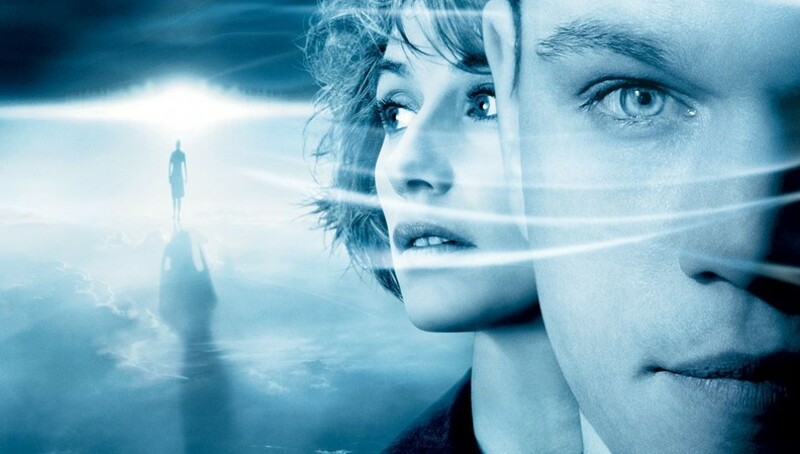 Hereafter had three excellent plots that never delivered a higher meaning, and the cliches found in the plot and props counteract many of the unconventional choices made in the narrative. Eastwood has certainly found death to be an interesting theme to explore in his later years. Either he is afraid of it, or waiting for it patiently with a shotgun and can of PBR.